Rep. Nydia Velazquez, D-N.Y., after a rally by congressional Democrats on Hurricane Maria recovery on Nov. 2, 2017. 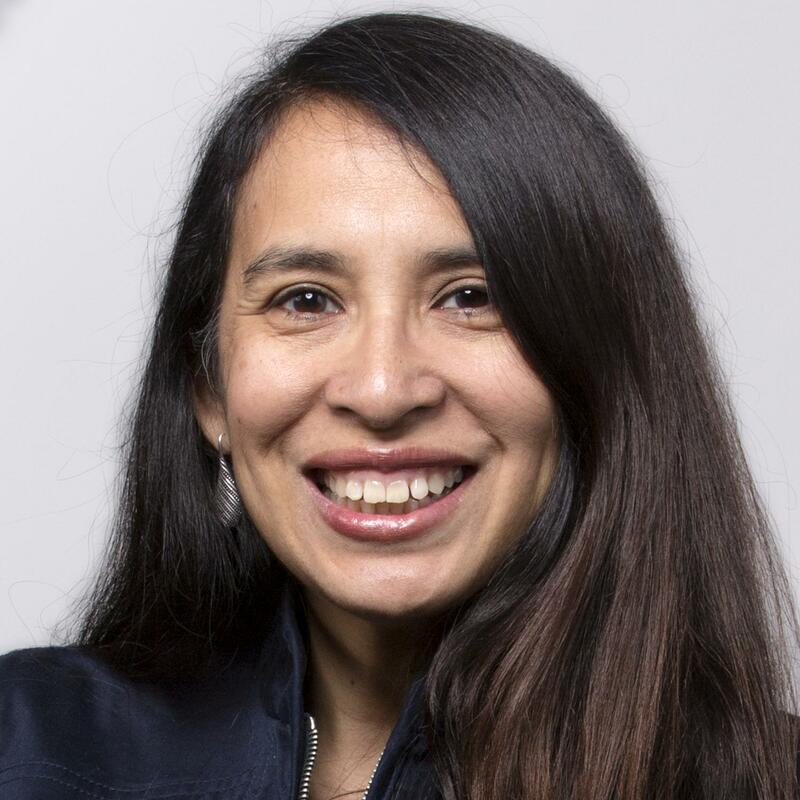 WASHINGTON – While she has been railing against the administration’s Hurricane Maria response, Rep. Nydia Velázquez’s family has been trying to survive its devastation. Velázquez, D-N.Y., was finally able to speak to two brothers over a month after Hurricane Maria made landfall the evening of Sept. 20. She visited the island and her hometown of Yabucoa, Puerto Rico last weekend, and that's when she finally talked to her siblings. So as Velázquez spoke Thursday from the Capitol steps about the struggle of Puerto Ricans and people of the Virgin Islands for basic needs, her voice cracked with emotion. “It has been one of the most painful experiences that I have been through,” she said. Until last weekend, Velázquez could only learn about the situation facing her brothers, ages 76 and 77, through her sister, who lives in San Juan, the island’s capital and who had been able to finally reach them. Her brothers are uninjured, said Velázquez, but one lost a roof of his cement home and their town remains without electricity and water. Local residents, young and old, had used hand saws to cut up trees and debris because they had not gotten federal help, Velázquez told NBC News after the Capitol steps rally. Her 69-year-old sister is living in a church’s apartment building because her home was flooded with several feet of water. 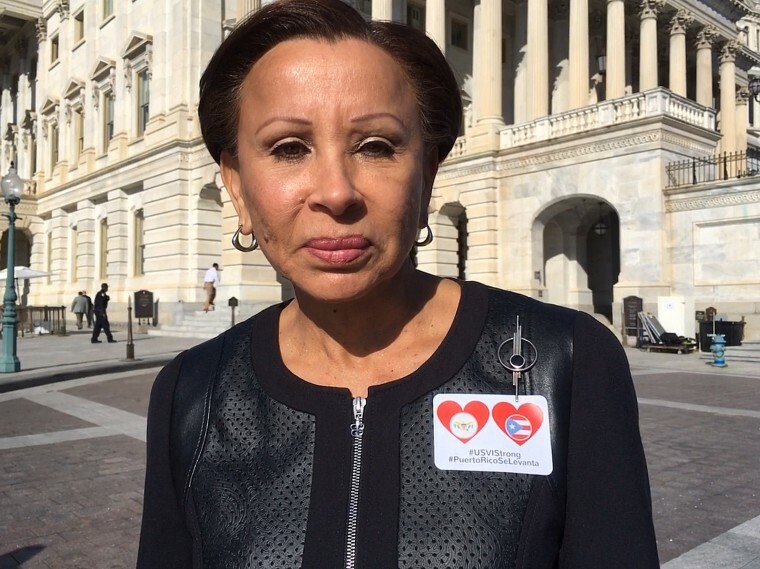 Members of Congress donned stickers to show unity at the Capitol in getting help for Puerto Rico and the Virgin Islands on Nov. 2, 2017. Velázquez has been one of the most vocal critics of the administration and its response to Hurricane Maria. Democratic members of Congress, who staged the rally at the Capitol steps, billed it as a show of solidarity for the people of Puerto Rico and the Virgin Islands designed to press for stepped-up response from the Trump administration. Congresswoman Stacey Plaskett, the Virgin Islands' non-voting delegate in the U.S. House, said all dialysis patients have been evacuated from the Virgin Islands because the islands lack power. More than 75 percent of residents of the islands - St. Thomas, St. John and St. Croix – are without power. "Could you imagine that happening in any other place other than the Virgin Islands and Puerto Rico. It would be unacceptable anywhere else. Hurricane Irma "devastated" St. Thomas and St. John Sept. 6, partially destroying St. Thomas' only hospital, Plaskett said. All its patients were evacuated to St. Croix's hospital, but then Hurricane Maria hit three weeks later and its hospital was condemned. "That means we no longer have capacity to take care of patients with critical needs. All dialysis patients, in patients, have been evacuated from the islands away from family and friends," Plaskett said. "Every aspect of our lives have been impacted by the storm." She added that the lush vegetation of the islands have been replaced with rubble, there still are food lines, children are not in school. Those in school share space with other schools in "condensed" classes in buildings powered with generators. Some are served MREs (meals ready to eat) for lunch. She noted that Trump had not visited the Virgin Islands since the storms. “We are gathered on the steps of the Capitol to demand real life-saving action from the administration,” said Democrat Minority Leader Nancy Pelosi of California. The islands started their seventh week of life without electricity and with many homes still without safe drinking water on Thursday.